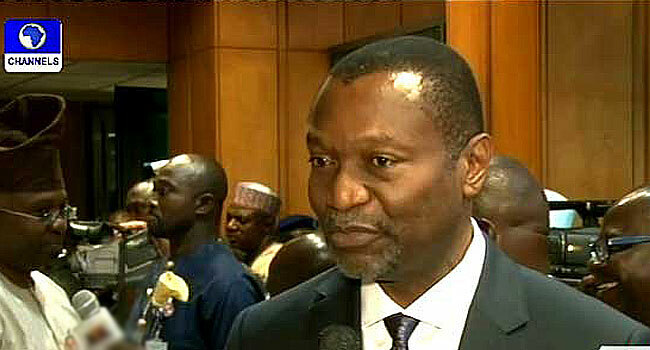 Minister of Budget and National Planning, Udoma Udo Udoma. The Nigeria Ministry of Budget and National Planning have reacted to the recently released second-quarter Gross Domestic Product (GDP) report by the National Bureau of Statistics (NBS). The Minister of Budget and National Planning, Udoma Udo Udoma, in a statement on Monday, regretted that there was a ‘slight drop’ in real GDP growth rate for the second quarter. He, however, added that Federal Government is encouraged by the growth recorded in the non-oil sector. “The Minister regretted that there was a slight drop in real GDP growth rate for Q2, principally as a result of the contraction in the oil sector. The Oil and Gas sector contracted by -3.95% in Q2 2018 compared to a growth rate of 14.77% recorded in Q1 2018 and 3.53% in Q1 2017. “FG is encouraged by the continuing growth recorded in the non-oil sector, which grew by 2.05% in Q2 of 2018,” he said. The Minister said he is happy to see that the Nigerian economy registered positive growth in the first and second quarters of the year in spite of the security and other challenges faced by the country. He said the weaker growth in the Agriculture sector which slowed to 1.19% in the second quarter of 2018 compared to 3.0% in the first quarter of 2018 is another area of concern for Federal Government. This he partly blamed on security challenges mainly in the North East and North Central zones. “These security challenges affected activities of farmers with impact on commodity output,” he said. Udoma said the various measures being taken by the government to tackle the situation is already reducing incidents of violent conflicts and other disruptions to farming activity. He said the 2.05% growth in the non-oil sector represents the strongest growth in the non-oil GDP since the fourth quarter of 2015. This he noted was evident that the implementation of the targeted policies and programs of the Economic Recovery and Growth Plan (ERGP) is yielding positive results. According to the NBS report, the non-oil growth was driven by transportation –road, rail, water and air. The Minister stressed that the focus of the Economic Recovery and Growth Plan (ERGP) is on diversifying the economy away from dependence on the oil and gas sector and was encouraged that efforts are yielding fruits by the continuing growth in the non-oil sector.